“The New Testament does not actually seem to put a premium on spontaneity as an essential component of authenticity, and so I would suggest that we should not worry too much about it either. It is more likely that it is significant for us because of our culturally-conditioned understanding of what makes us and our actions “authentic” (itself as slippery a concept as “spontaneity”). Modern society puts great stock in the idea that what makes us who we are is our individual self-creation and self-determination. That lies at the heart of consumerism, for example. Yet, whether right or wrong socially, it is certainly irrelevant biblically when it comes to worship. 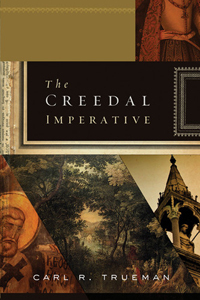 Individual self-creation and self-determination are not only irrelevant to Christianity and its various practices, they are arguably antithetical to it as well.” ~ The Creedal Imperative, pg. 149.